The Center for Security Policy created the CAIR Observatory in March 2010 to publicly present the case against CAIR as an unregistered foreign agent and to serve as a clearing house for CAIR-related documents and information. The following month we began applying the principles of the CAIR Observatory in real-time. 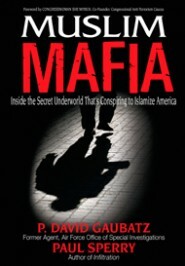 As cases of CAIR influence operations involving government officials, candidates and other prominent Americans came to light, the Center for Security Policy sent letters from our President and CEO Frank Gaffney to the parties involved, warning them of CAIR’s possible foreign agent status and that they may have been a target of an illegal influence operation. A copy of each letter was also sent to Bureau Chief Heather Hunt of the Foreign Agents Registration Unit at the Department of Justice. Two days later on October 20, CAIR issued a press release calling on NPR to take action against Williams. CAIR Executive Director Nihad Awad called Williams’ comments “irresponsible and inflammatory” and complained that “media commentators who launch rhetorical attacks on Islam and Muslims normally do not suffer the professional consequences.” CAIR’s Awad called on NPR to “address” Williams’ statements. NPR publicly announced the termination of Williams’ contract the following day, October 21. On October 21 the Center for Security Policy alerted five parties involved in this influence operation to CAIR’s alleged foreign agent status via email: Juan Williams; Vivian Schiller, President and CEO, NPR; Roger Ailes, President, Fox News Channel; Bill O’Reilly, Fox News Channel; and the Inspector General of the Corporation for Public Broadcasting (CPB). The Center for Security Policy issued a press release on the evening of October 21 informing the public that these five parties had been warned and providing a background of CAIR’s alleged violations of the Foreign Agents Registration Act (FARA). We believe that this specific act to influence a possible U.S. Senator meets the definition of a political influence operation under the terms of the Foreign Agents Registration Act (FARA). On October 13 the Center for Security Policy sent a letter to Sharron Angle alerting her to CAIR’s unregistered foreign agent status and asking that she requests a Department of Justice investigation into CAIR’s violation of the FARA code. A copy of the letter was also sent to Bureau Chief Heather Hunt of the Foreign Agents Registration Unit at the Department of Justice. We believe that this specific act to influence a General of the United States Marine Corps meets the definition of a political influence operation under the terms of the Foreign Agents Registration Act (FARA). On September 27 the Center for Security Policy sent a letter to General James Mattis alerting him to CAIR’s unregistered foreign agent status and asking that he request a Department of Justice investigation into CAIR’s violation of the FARA code. A copy of the letter was also sent to Bureau Chief Heather Hunt of the Foreign Agents Registration Unit at the Department of Justice. We believe that this specific act to influence the sitting Governor of Minnesota meets the definition of a political influence operation under the terms of the Foreign Agents Registration Act (FARA). On August 11 the Center for Security Policy sent a letter to Governor Tim Pawlenty alerting him to CAIR’s unregistered foreign agent status and asking that he request a Department of Justice investigation into CAIR’s violation of the FARA code. A copy of the letter was also sent to Bureau Chief Heather Hunt of the Foreign Agents Registration Unit at the Department of Justice. A CAIR press release called upon FBI Norfolk and the Tidewater Joint Terrorism Task Force (TJTTF) “explain” why Robert Spencer – whom they described as “a leader of an anti-Islam hate group” – was invited to offer training to state and federal law enforcement officers. “Our nation’s law enforcement personnel should not receive training from the head of a hate group that seeks to demonize Islam and to prevent American Muslims from exercising their rights as citizens,” said CAIR National Communications Director Ibrahim Hooper. On July 27th the Center for Security Policy sent a letter to FBI Agent Alex Turner concerning CAIR’s unregistered foreign agent status. The letter identified CAIR’s urging of the organization to “explain” its recent actions as a foreign influence operation. A copy of the letter was also sent to Bureau Chief Heather Hunt of the Foreign Agents Registration Unit at the Department of Justice. A similar letter was also sent to Robert Spencer. Just four days after asking a Florida tea party group to drop ACT! for American founder Brigitte Gabriel as their keynote speaker for an August event, CAIR launched an aggressive press release against GOP Senate Candidate Marco Rubio, who was invited to the event but had not yet confirmed. On July 22 the Center for Security Policy sent a letter to Marco Rubio concerning CAIR’s unregistered foreign agent status and identifying CAIR’s urging of Mr. Rubio cancel his participation in the tea party event as a foreign influence operation. 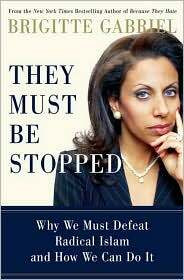 Another letter was sent to Brigitte Gabriel, speaker and founder of ACT! for America, alerting her that CAIR’s statements on ACT! for America may be parrt of an illegal political influence operation. Copies of the letters were also sent to Bureau Chief Heather Hunt of the Foreign Agents Registration Unit at the Department of Justice. As a response, Guy Rodgers, Executive Director of ACT! for America, also sent a letter to to Bureau Chief Heather Hunt of the Foreign Agents Registration Unit at the Department of Justice. On June 25, CAIR called on Republican Party leaders to repudiate “Islamophobic” remarks by Tennessee GOP congressional candidate Lou Ann Zelenik who opposes the construction of a new mega-mosque complex in Murfreesboro, TN. On June 16 the Center for Security Policy sent a letter to Tenessee congressional candidate, Lou Ann Zelenik, concerning CAIR’s unregistered foreign agent status. The letter identified that by openly denouncing Zelenik and attempting to tarnish her standing with Republican Party leaders, CAIR’s actions constitute a foreign influence operation. A copy of the letter was also sent to Bureau Chief Heather Hunt of the Foreign Agents Registration Unit at the Department of Justice. The boycott of Gaza to me has another purpose — obviously the first purpose is to prevent Hamas from getting weapons by which they will use to hurt Israel — but the second is actually to show the Palestinians that when there’s some moderation and cooperation, they can have an economic advancement. When there’s total war against Israel, which Hamas wages, they’re going to get nowhere. And to me, since the Palestinians in Gaza elected Hamas, while certainly there should be humanitarian aid and people not starving to death, to strangle them economically until they see that’s not the way to go, makes sense. On June 16 the Center for Security Policy sent a letter to Senator Charles Schumer concerning CAIR’s unregistered foreign agent status and identifying CAIR’s urging Mr. Schumer to retract his statement as a foreign influence operation. A copy of the letter was also sent to Bureau Chief Heather Hunt of the Foreign Agents Registration Unit at the Department of Justice. Center for Security Policy sends a letter to Director Mark D. Clookie of the Naval Criminal Investigative Service (NCIS) concerning CAIR’s unregistered foreign agent status, identifying their attempted censorship of a movie shown to train law enforcement as a foreign influence operation. A copy of the letter was also sent to Bureau Chief Heather Hunt of the Foreign Agents Registration Unit at the Department of Justice. On April 22 CAIR issued an action alert urging the Pentagon to disinvite speaker Rev. Franklin Graham from a special day of prayer. CAIR urged the public to contact the Pentagon’s public affairs office to express concerns about “a person with such Islamophobic views speaking to military personnel.” On the same day Rev. Graham announced that he had indeed been disinvited by the army. CAIR applauded the decision. Congressman Jack Kingston (R-GA) called for hearings into the Pentagon’s “politically correct” decision on this matter. On June 1 the Center for Security Policy sent a letter to the Rev. Franklin Graham concerning CAIR’s unregistered foreign agent status, identifying their attempt to exclude Graham from the Pentagon prayer service as a foreign influence operation. A copy of the letter was also sent to Bureau Chief Heather Hunt of the Foreign Agents Registration Unit at the Department of Justice. “We ask that convention organizers not legitimize Geller’s extremist anti-Muslim rhetoric by offering her an official platform,” said CAIR National Executive Director Nihad Awad. Awad also called on Rep. Steve King (R-IA) to cancel his scheduled keynote address to the convention if Geller was kept on the schedule. The Tea Party refused CAIR’s demands and both Geller and King spoke as planned. On May 26 the Center for Security Policy sent letters to Pamela Geller and U.S. Representative Steve King (R-IA) concerning CAIR’s unregistered foreign agent status, identifying their intimidation of the Tennessee Tea Party Convention and attempted silencing of Pamela Geller as a foreign influence operation. A copy of the letter was also sent to Bureau Chief Heather Hunt of the Foreign Agents Registration Unit at the Department of Justice. The Connecticut chapter of CAIR called on state Republican leaders to repudiate statements made by congressional candidate Rick Torres during a GOP primary debate. On May 20 the Center for Security Policy sent a letter to congressional candidate Rick Torres and selected members of the Connecticut Republican leadership concerning CAIR’s unregistered foreign agent status, identifying their censure of Mr. Torres and intimidation of the CT-GOP as a foreign influence operation. A copy of the letter was also sent to Bureau Chief Heather Hunt of the Foreign Agents Registration Unit at the Department of Justice. On May 27 the Center for Security Policy sent letters to GOP congressional candidate Dan Fanelli and RNC Chairman Michael Steele concerning CAIR’s unregistered foreign agent status, identifying their intimidation of national Republican leaders and attempted censoring of Mr. Fanelli’s campaign ads as a foreign influence operation. A copy of the letter was also sent to Bureau Chief Heather Hunt of the Foreign Agents Registration Unit at the Department of Justice. 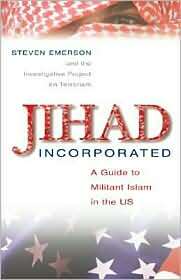 Former CAIR Board Chairman (2005-2008) Parvez Ahmed was nominated to the Jacksonville (FL) Human Rights Commission by Mayor John Peyton. On April 5 the city council Rules Committee recommended him for approval. On April 16, responding to information on Ahmed provided by ACT for America, the Florida Security Council, Former Muslims United and others, the Jacksonville City Council voted 13-5 to refer the appointment back to the council Rules Committee. The Rules Committee approved the nomination again on April 19, this time by a vote of 4-1 with Councilman Clay Yarborough dissenting. On April 15 the Center for Security Policy sent a letter to the Jacksonville City Council concerning CAIR’s unregistered foreign agent status and Parvez Ahmed’s responsibility as former Board Chairman. On April 13 CAIR-Tampa echoed the CAIR national office message with this action alert and directed readers to a petition calling for 5,000 signatures condemning the GOP and Myrick for associating with ACT! for America. CAIR enlisted Reverend Wilifred Allen-Faiella of St. Stephen’s Episcopal Church in Coconut Grove, FL to provide “interfaith” credibility for their attack. On April 15 the Center for Security Policy sent a letter to Rev. Allen-Faiella alerting her to CAIR’s unregistered foreign agent status. 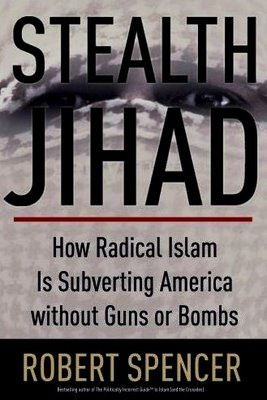 On April 18 Big Government posted an article on this subject by CAIR Observatory Editor Adam Savit.